What happens when you wring water out in space? That is the question two 10th graders in Nova Scotia wanted answered. Astronaut Chris Hadfield conducted the experiment while aboard the International Space Station. 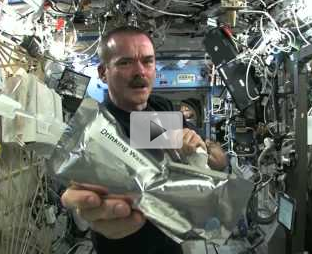 Using a washcloth and drinking water, Hadfield demonstrates just how it works. Watch the following clip and see the results of this experiment.